On Friday, March 9th, we’ll be tasting the 2010 Calina Chardonnay from Chile, and the 2009 Le Grand Noir Cabernet-Shiraz red blend from France. Open for tasting and discounted from 1pm-6pm! On Wednesday, March 7th, all Domestic Red Wine will be 15% off when you buy at least 2-bottles of domestic red wine! When You Buy 2-Wednesday Sale… All Wine On Sale! 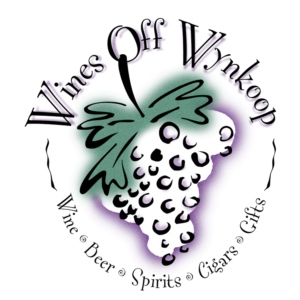 On Wednesday, February 29th, ALL WINE in the store will be 15% off when you buy 2-or more bottles of wine. Mix-and-match all you want! http://winedenver.net/wp-content/uploads/2017/04/Background.png 750 750 admin https://winedenver.net/wp-content/uploads/2017/04/Background-300x300.png admin2012-02-28 12:23:252018-01-26 23:47:17When You Buy 2-Wednesday Sale... All Wine On Sale! All Domestic White Wine is 15% on February 22nd, when you buy at least 2-bottles of domestic white wine! On Wednesday, February 15th, all Imported Red Wine will be 15% off when you buy 2-or more bottles of Imported Red Wine! 2007 Rocky Gully Dry Riesling, from the Frankland River region in Western Australia, and the 2009 Mission Estate Winery Syrah, from Hawke’s Bay, New Zealand. Open for tasting and discounted from 1pm-6pm on Friday, February 10th! “When You Buy 2 Wednesdays” Sale! On Wednesday, February 8th, all imported white wine will be 15% off with the purchase of 2-or more bottles of imported white wine. http://winedenver.net/wp-content/uploads/2017/04/Background.png 750 750 admin https://winedenver.net/wp-content/uploads/2017/04/Background-300x300.png admin2012-02-07 12:23:252018-01-29 17:46:40"When You Buy 2 Wednesdays" Sale! We will be closing the wine store early today, due to the snowstorm impacting the metro area today. We will attempt to stay open until 7pm, but if you plan on coming in after 5pm today, please call ahead to see if we are open. All beer in the store is 15% off for Superbowl weekend, from Saturday February 4th through Monday February 6th! Just mention you want the “Superbowl Beer Discount” when making your purchase and you’ll save 15% off any and all beer you buy over the weekend! We’ll be tasting and offering a discount on these two wines from 1pm-6pm. 2010 Posenato “Le Coste” Pinot Grigio, from the Venezie region of Italy, and the 2010 Tilia Malbec/Syrah blend from Mendoza, Argentina.